Oh sweet, sweet irony. California State Senator, Leland Yee, was arrested on corruption, racketeering, and pretty much being in cahoots with organized crime. According to the affidavit, Yee was trying to get donations through bribery by showering praise or aiding in legislation and receiving monetary compensation. Doing so would net him more money for his campaign, going way beyond what the donation limit in California is for a public official. But it doesn’t stop there. Those who contributed in Yee’s deals were offered guns from an arms dealer in New Jersey that Yee was in contact with. He, along with 26 others, are accused of taking part in Yee’s schemes, which went beyond what is mentioned here. In our world, Yee is the guy who tried to push a Violent Videogames bill that sought to ban the sale of M-rated games to minors in California. He tried to get the bill passed, and won, only for it to be shot down by every level of the judicial system until it made its way to the U.S. Supreme Court. The much publicized case in the videogame community, Brown v. Entertainment Merchants Association, saw the Yee-sponsored bill being deemed unconstitutional and struck down. It’s funny when you consider that Yee’s anti-game campaign started after the Hot Coffee mod was made for Grand Theft Auto: San Andreas in 2005. 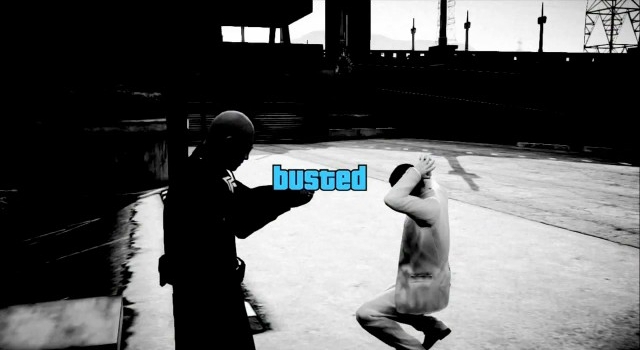 Considering that the GTA series sees protagonists dealing in organized crime and many other forms of criminal activity, maybe the series was hitting a bit too close to home for Mr. Yee. Maybe. Either way, this whole affair is of the utmost irony right now, and all we can do is laugh at the circumstances. This entry was posted in Gaming News and tagged Brown v. Entertainment Merchants Association, ESRB, Grand Theft Auto, GTA, law, Leland Yee, Violent Videogames on March 27, 2014 by Steven T..
585,049 viewers accidentally found us!